• Our God is One, but manifested in three Persons—the Father, the Son, and the Holy Spirit. • Man is a created being, made in the likeness and image of God, but through Adam’s transgression and fall, sin came into the world. • Salvation is the gift of God to man through faith in Jesus Christ. 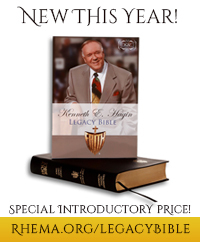 • The New Birth is necessary to all men, and when experienced, produces eternal life. • Baptism in water is by immersion, is a direct commandment of our Lord, and is for believers only. • The Baptism in the Holy Ghost is a gift and is accompanied by the initial evidence of speaking in other tongues. • We believe in sanctification, which is living a life of holiness. • Healing is the privilege of every member of the Church today provided through Jesus’ death on the Cross. • The one who physically dies in his sins without accepting Christ is eternally lost and, therefore, has no further opportunity of hearing the Gospel or repenting.